Called “The Lion,” Captain Jake Pennlyon is a fearsome and virile plunderer who takes what he wants, and his sights are set on Catherine Farland. Blackmailed into wedlock and haunted by memories of the gentle boy she was forbidden to wed, Cat vows to escape. 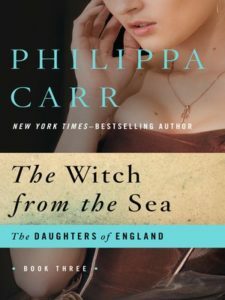 Fate intervenes when she’s taken prisoner aboard a Spanish galleon . . . unaware that she’s a pawn in one man’s long-awaited revenge. Beginning as Elizabeth takes the throne of England, and spanning the years until the legendary defeat of the Spanish Armada, The Lion Triumphant follows Cat’s journey from the thrill of a first passion to the ferocity of a mother’s love. Despite the twists of history, her fortunes—and her heart—will remain tied to one seductive buccaneer. 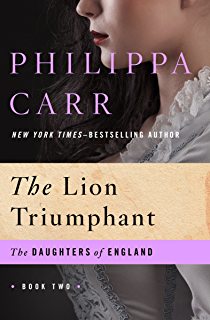 Linnet Pennlyon, proud daughter of a sea captain, finds herself in a vicious trap: Pregnancy has forced her to marry the cunning Squire Colum Casvellyn. Once their baby is born, she devotes herself to their son. Yet, little by little, against her will, Linnet finds herself drawn to her passionate, mercurial husband. Dark secrets lurk in their castle: The squire’s first wife died amid rumors of foul play. When a beautiful stranger washes up on the shore, Linnet suddenly finds she’s no longer in control of her family—or her life. It falls to Linnet’s daughter, Tamsyn, to uncover the truth about a long-ago night . . . and put to rest the rumors about her beloved mother. Her discovery sets in motion an unstoppable chain of events that will reverberate for decades to come. Twins Angelet and Bersaba Landor may look alike, but their personalities couldn’t be more different. Angelet is sweet, gentle, and submissive, while Bersaba is secretive, sensual, and headstrong. When the sisters are separated by forces beyond their control, Bersaba finds her life taking a dark turn. After years apart, the twins are reunited within the echoing halls of Far Flamstead.As Angelet finds herself at the mercy of the manor’s secret past, Bersaba gives in to a perilous temptation. Bersaba will risk everything—even her life—for the love of one man. Against the backdrop of seventeenth-century England, a time of bloody revolt and new beginnings, Bersaba and Angelet discover that the ties that bind them can also tear them apart. 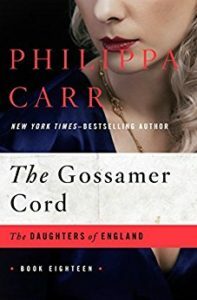 Under the sway of the puritanical Oliver Cromwell, England simmers with religious persecution and political unrest. Like their exiled king, Arabella Tolworthy and her parents have retreated to France but yearn for their native country. When Arabella is separated from her family, she makes her way alone in an increasingly dangerous world and meets two people who will change her life: an actress named Harriet Main and the dashing nobleman Edwin Eversleigh. As the British king is restored to his rightful throne, Arabella’s odyssey mirrors the strife and turbulence of her beloved homeland. As she tries to make peace with her past, she’s confronted with an unexpected threat to her future—and a second chance at lasting love. 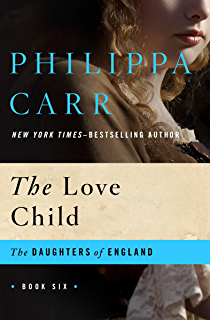 While Restoration England continues to be torn apart by political and religious turmoil, fourteen-year-old Priscilla Eversleigh gives herself to fugitive Jocelyn Frinton in a moment of youthful passion. Desperate to conceal her shameful secret from her family, Priscilla journeys to Venice, Italy, where her illegitimate daughter, Carlotta, is passed off to another woman—and a conspiracy is born. Priscilla’s past will haunt her in the decades to come. 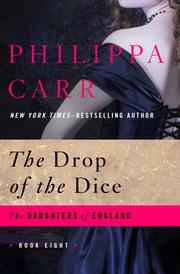 As fortune-hunters circle, Carlotta becomes a pawn in a twisted game of greed and revenge. Now Priscilla must make the ultimate sacrifice—even if it costs her the man she loves—which will shape not only Carlotta’s future, but also the lives of the generations of Eversleigh women to come. 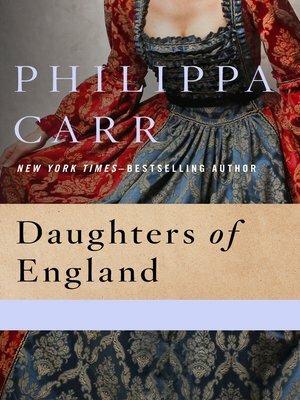 Carlotta, the love child of Priscilla Eversleigh and Jocelyn Frinton, grows up in the shadow of war during the reign of Queen Anne. Carlotta’s personal struggle begins when she’s abducted by the charismatic Jacobite leader Lord Hessenfield. During her time as his hostage, they fall into a passionate affair. When she’s released, the pregnant Carlotta marries to save her daughter Clarissa’s legitimacy, but plunges into reckless affairs with other men—including the man beloved by her half-sister, Damaris. As England and France vie for dominance, the destinies of Carlotta and Damaris play out on the world stage. Carlotta overlooks the shy Damaris, who forms a tender bond with Clarissa. Damaris’s quiet strength will be put to the test when she must risk her own life to save Clarissa. Clarissa Field never knew her mother, but hears whispers that she was a notorious femme fatale. Unknowingly, the girl follows her mother’s passionate path and loses her heart to Jacobite rebel Dickon Frenshaw. But 1715 England is a dangerous place to be a young woman in love. Dickon is caught and exiled to Virginia, and Clarissa is married off to rakish soldier Lance Clavering. To the world she has committed an unforgivable sin . . .
Is it possible for people to be possessed? That’s the question happily married Zipporah Ransome asks herself when she journeys from Clavering Court to her family’s ancestral home in Eversleigh. At nearby Enderby House, a mysterious place connected to her notorious grandmother Carlotta, Zipporah discovers the power of her untapped desires—and the price of their fulfillment. Enigmatic Frenchman Gerard d’Aubigné changes Zipporah’s life forever. 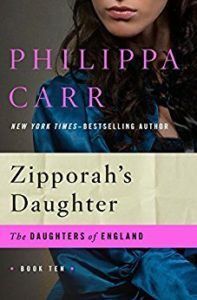 Unable to resist his sensual charms, Zipporah embarks on an illicit affair that leaves her with a haunting secret. Soon her life begins to mirror Carlotta’s, as scandal, violence, and deception threaten to destroy her home. No one, especially not Zipporah and her daughter, will be left unscathed. Discovering that the man who raised her was not her birth father comes as a great shock to teenage Lottie. She always thought she’d marry her childhood love, Dickon, and stay at the family estate, Eversleigh. But fate takes Lottie across the sea to France and the mysterious palace of Versailles. As the daughter of Comte Gerard d’Aubigné, Lottie encounters a world far different from her cloistered existence at Eversleigh. Here, she meets her half-sister and marries gallant patriot Charles de Tourville. 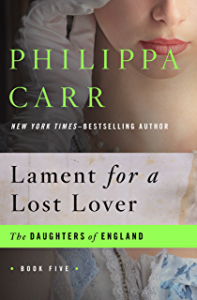 As Louis XVI takes the throne with his queen, Marie Antoinette, Lottie is called back to England, where she finds that Dickon may not be the man she thought he was. Meanwhile, France descends into revolution and Lottie’s family becomes increasingly endangered. A country in the throes of bloody revolution. A young woman torn between two men. A decision that will change her life forever. In the wake of the storming of the Bastille, Claudine de Tourville and her family flee France for the peaceful shores of England. When they arrive at her mother’s ancestral estate, Claudine feels as if she has come home. At Eversleigh Court, the seventeen-year-old finds herself caught between her wildly different stepbrothers. David is quiet, studious, and devoted, but it is the passionate, reckless Jonathan who enflames her heart. 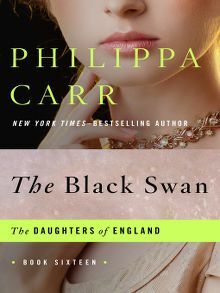 With France reeling from the execution of its king and queen, Claudine plunges into her own escalating web of deception and betrayal. A decision made in haste will come back to haunt her as a long-lost love returns to England and sends her life spinning out of control. 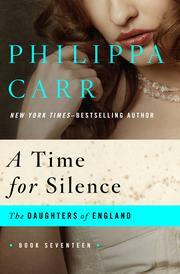 Philippa Carr is at her provocative, liberating best as she describes a world torn between oppression and freedom. From the moment the handsome, raffish stranger with the gold earring throws her a kiss, Jessica Frenshaw is enchanted. Rumored to be a half-Spanish wanderer who can predict the future, Romany Jake is unjustly put on trial for murder. After the verdict banishes him from England, Jessica despairs of ever seeing him again. But one fateful day, Jake Cadorson returns to reclaim what he has lost—including the woman who saved him from the gallows. 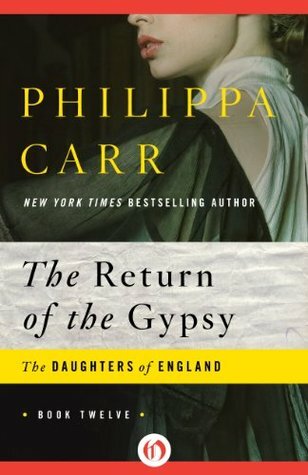 From the ballrooms and lavish estates of Regency England through the bitter bloodshed of the Napoleonic Wars, Return of the Gypsy weaves a spellbinding tale of blackmail, murder, and illicit passion as a woman risks everything for the man she loves—a man who isn’t what he seems. 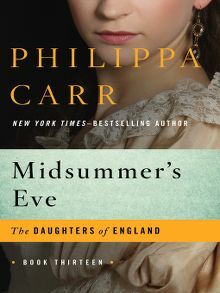 On a fateful midsummer’s eve, Annora Cadorson witnesses a horrifying event that shatters her innocence. 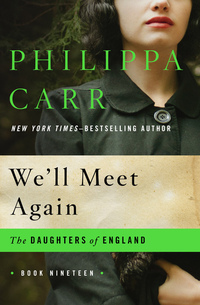 Expected to marry Rolf Hanson, the hero of her girlhood dreams, Annora instead flees to London, far from her family, her home in Cornwall, and her unsettling memories. In a city teeming with intrigue as Queen Victoria ascends the throne, Annora meets a man who will play a crucial role in her life. But fate intervenes once more. Amid a heated battle in Parliament, scandal erupts. Annora flees again, this time to the primitive outback of Australia, where she confronts a secret from her father’s violent past. Unexpected tragedy will send Annora back to where it all began, as she comes face to face with the man she never stopped loving . . . a man who may be lost to her forever. Young Angelet is fascinated by the haunting rumors surrounding the Pool of St. Branok—superstitious tales of its cursed, bottomless waters. The innocent Cornish girl shares the ghostly story with Benedict Lansdon, the handsome, illegitimate grandson of a family friend, and promises to show him the spot. But tragedy strikes when they meet at the pool, and Angelet and Ben become complicit in a crime that could send Ben to the gallows. Ben returns to Australia, but the pair feels bound by their terrible secret. After a whirlwind season in London, Angelet marries Gervaise Mandeville, a charming rogue with a weakness for gambling. As the casualties from the Crimean War mount, Gervaise decides to try his luck in the Australian gold rush. Angelet travels across the world with him, only to once again be ensnared in a fatal act of violence. Alone in the outback, Angelet faces her own day of reckoning from a long-ago crime—and gets a second chance at love. Rebecca Mandeville arrives at Manorleigh with her mother amid rumors that Rebecca’s politically ambitious stepfather may have murdered his first wife. 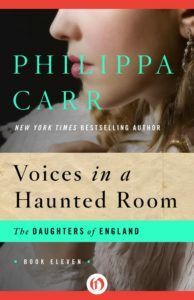 Homesick for her native Cornwall, Rebecca feels she’ll never belong at Benedict Lansdon’s ancestral estate—a place haunted by the phantoms of past crimes. When tragedy strikes, Rebecca struggles to move on, and becomes inextricably linked to two young girls: her half-sister Belinda and an orphan named Lucie. 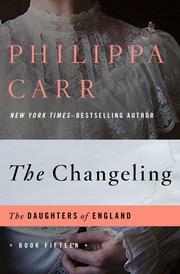 Teeming with scandal and murder, The Changeling is at once an atmospheric ghost tale and a gripping story of familial betrayal as powerful as the woman at its haunting center. The riveting Cornwall saga continues with the story of Lucie Lansdon, the sole witness to a horrifying crime much too close to home . . .
After her father is murdered, Lucie Lansdon’s eyewitness testimony sends a fanatical Irish terrorist to the gallows. Fate claims another victim when Lucie receives news that her fiancé has died in Africa. Reeling from the deaths of the two men she loved most, and convinced that her life is cursed, Lucie finally finds happiness when she marries the gentle Roland Fitzgerald. But her domestic life with Roland and his sister is not all it should be. Someone is watching—and waiting to carry out a cunningly orchestrated plan of retribution. As Lucie’s life is threatened and she begins to doubt her sanity, she’s visited by someone she believed lost to her forever. On the verge of uncovering the truth about a long-ago night, she places her trust in the wrong person. In 1912, with war looming on the horizon, thirteen-year-old Lucinda Greenham is sent to an exclusive boarding school in Belgium. Her joy in sharing this adventure with her best friend, Annabelinda, is cut short when Annabelinda has a clandestine affair leading to pregnancy. Annabelinda’s family arranges a “rest cure” and when the girl returns to school, she seems to have forgotten the incident. 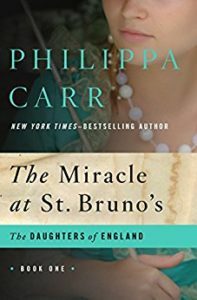 Then, in the wake of Germany’s invasion of Belgium, Lucinda and Annabelinda are forced to flee across Europe and find a welcome savior in the dashing Major Marcus Merrivale. Safely back in England, Lucinda vows to keep her friend’s secret. But someone in the household has uncovered the truth about Annabelinda and the lively baby called Edward. Now Lucinda, who has lost her heart to a decorated soldier, is faced with keeping another secret. As a blackmail plot erupts in murder, and war eradicates a way of life forever, Lucinda discovers that there is a time for love . . . and a time for silence. 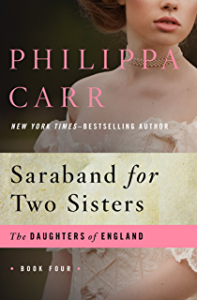 Violetta Denver and her twin sister Dorabella are inseparable—until Dorabella falls in love with Dermot Tregarland. The newlyweds settle in Dermot’s isolated ancestral home along the Cornish coast, and Dorabella soon has a little boy. But Violetta can’t shake the terrible foreboding she’s felt since her sister’s marriage. When she hears that Dorabella went swimming one morning and was swept out to sea, she refuses to believe that her beloved twin is really gone, so a grief-stricken Violetta travels to the Tregarland estate. There, against the terrible grandeur of sea-swept cliffs, Violetta learns that Dermot’s first wife also drowned under suspicious circumstances. 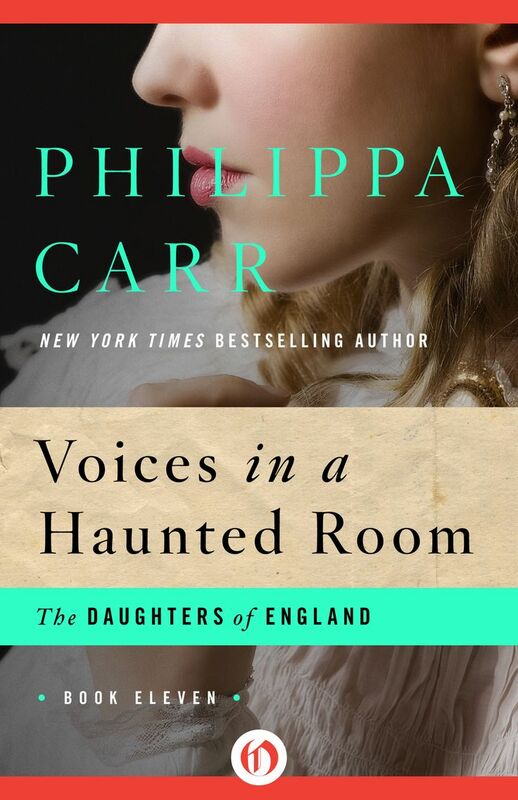 When death claims another victim, Violetta knows the answer lies in the history of the Tregarlands—and a haunting legacy of madness and bad blood. With the help of Jowan Jermyn, Dermot’s neighbor, Violetta moves closer to the truth . . . and closer to a murderer whose long-awaited revenge is about to come full circle. The German army is advancing through Europe and the Battle of Britain is grimly underway. With her fiancé, Jowan, missing in action, Violetta Denver despairs of ever seeing him again. While Violetta waits for news, her sister Dorabella finds herself torn between two men: her French ex-lover Jacques and the heroic, mysterious Captain Brent. 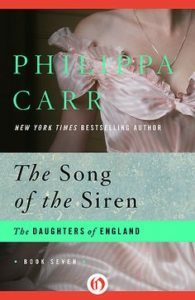 But James Brent may not be what he seems—and soon both Dorabella and Violetta are caught up in a dangerous game of espionage and treason as they travel to wartime London. With their fates hanging in the balance, the twin sisters are bound by a shocking secret. Dorabella risks her life to follow her heart . . . and Violetta refuses to give up hope that one day she will be reunited with her lost love. I was beginning to realize that there was something unusual about our marriage . . . When fifteen-year-old Sarah Standish runs off to London to be an actress, she discovers a city beyond her wildest dreams. But the most exciting fantasy of all is the real-life stranger who sweeps her off her feet. Sarah marries Jack Adair, the thrillingly handsome Lord Rosslyn. She’s deliriously happy, until she learns her husband’s secret. Years later, the Adairs’ daughter Kate comes of age. Her father is desperate to retain control of Rosslyn Manor. To do this he needs a strategic alliance and the proper heir, but Kate has promised her heart to someone else. As England battles for its throne, Kate fights for the right to lead her own life, and discovers that love can triumph over the ambitions and follies of men and kings.